Through extensive training, certification and dedication, our staff has attained mastery in their fields and now enjoy sharing their skill and passing it on to our members. Belw are a few of Rolly Pollies' staff members. For more information about the Rolly Pollies International, Inc. staff or our programs, please contact us at 410-507-9554 or by clicking here. Co-Founder John Mann is a 1991 graduate of the United States Naval Academy. Honorably discharged from the Navy in 1998 after 7 years of active duty in the Surface Warfare Community where he was stationed on 3 ships out of Hawaii and San Diego. The majority of his shipboard time was spent leading the most challenging divisions in Engineering, Damage Control and Main Propulsion. 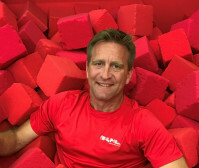 Prior to creating Rolly Pollies in 2002, John helped design and implement new computer systems and processes for E.spire Communications and he recruited high value programmers for System One Technical. USA Gymnastics Safety and KAT(Kinder Accreditation for Teachers) Certified. Rolly Pollies’ Director of Movement Curriculum, Martina Balke Ed. 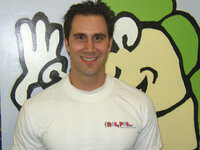 D. provides twenty years of experience in movement and physical education. A resident of Annapolis, Martina earned her Doctorate degree in Physical Education Curriculum Development and Training from the Teachers College at Columbia University in New York City. For the last four years, Martina has been designing movement curricula for facilities throughout the world and teaching at an internationally known children's development center in Baltimore, Maryland. Prior to this, she was a faculty member and researcher in the Department of Kinesiology at Towson University, a dance instructor at Chesapeake Dance Theatre and a physical education teacher in Connecticut and Germany. Martina is a native of Germany. Co-Founder Joe Dondero is a 1991 graduate of the United States Naval Academy. Honorably discharged in 1997 after six years on active duty in the Surface Warfare Community, he spent four years onboard USS INGERSOLL (DD 990) and two years as an instructor at the US Naval Academy. In 1996, during his tour at the Naval Academy, he served as the Assistant Coach of the Severn High School Lacrosse team in Severna Park. After leaving the Navy, he founded Aspen Independent Landscaping in 1998 in Aspen, Colorado. After selling his company in 2000, he became Vice President for Client Services for a financial printing firm in New York City until mid-2001 when he started working on Rolly Pollies. USA Gymnastics Safety and KAT(Kinder Accreditation for Teachers) Certified.